The H-3 classification applies to aliens (beneficiaries) coming temporarily to the U.S. to participate in a training program. There are general H-3's, and those coming for special education training. There is currently no annual cap on H-3 admissions to the U.S. This includes agriculture, technology, communications and governmental leadership, but does not include people seeking graduate medical training. 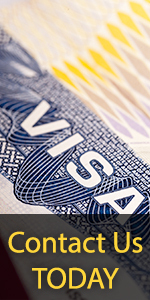 Nurses and medical students on vacation, however, may be eligible for the H-3 Visa.